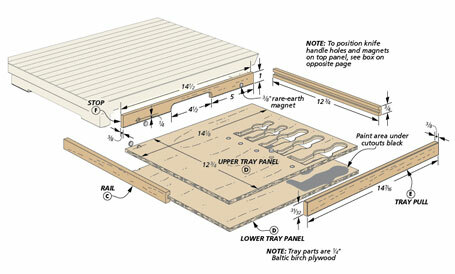 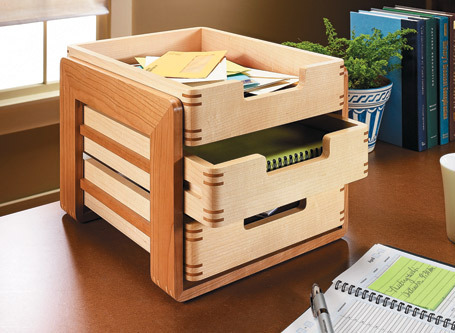 This simple weekend project looks great and has a hidden surprise beneath - storage for a set of kitchen knives. 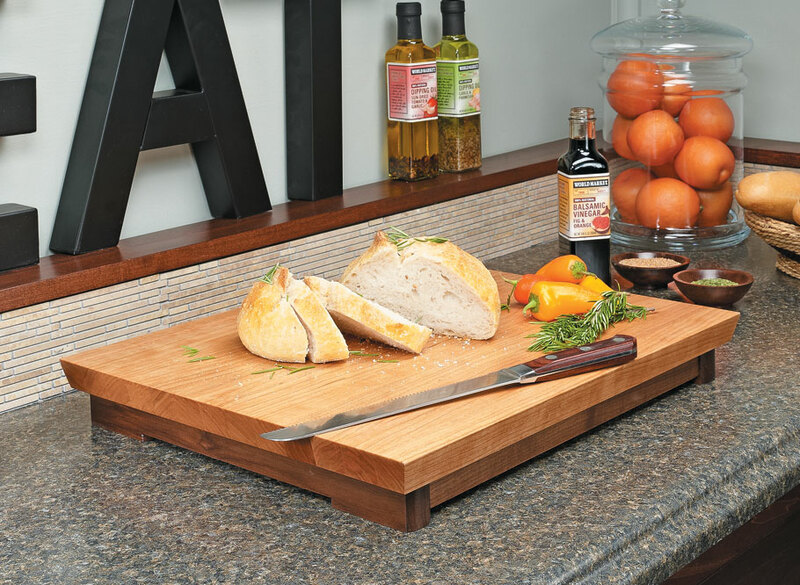 This wood cutting board makes a welcome addition to any kitchen. 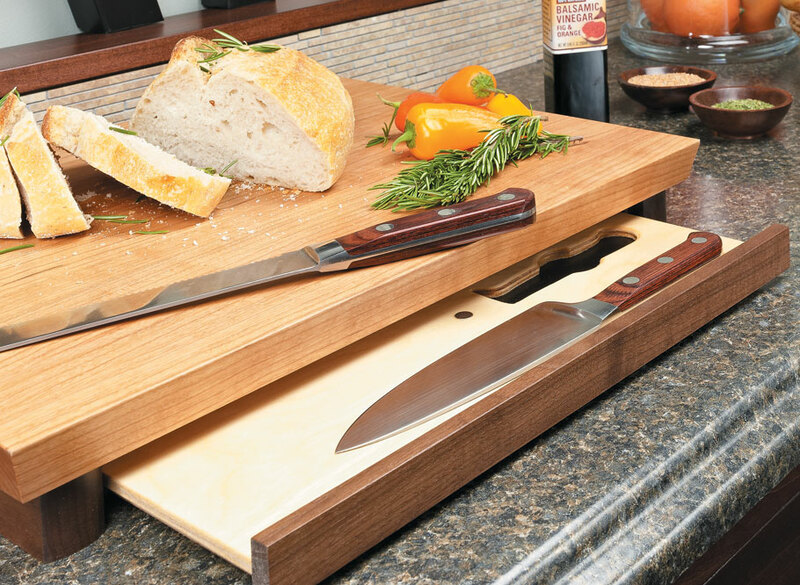 But along with its handy cutting surface, this board also houses a tray underneath that stows five of your most-used kitchen knives. 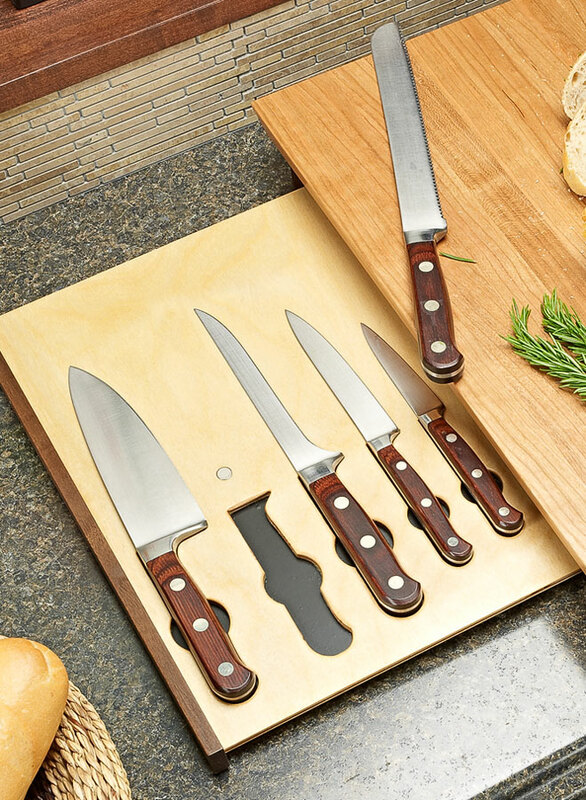 When it's time to start preparing a meal, push out the tray for access to the knives. 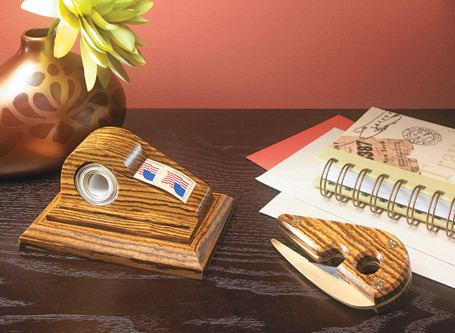 With its substantial cherry top and bold walnut base, it's sure to look great in your kitchen.